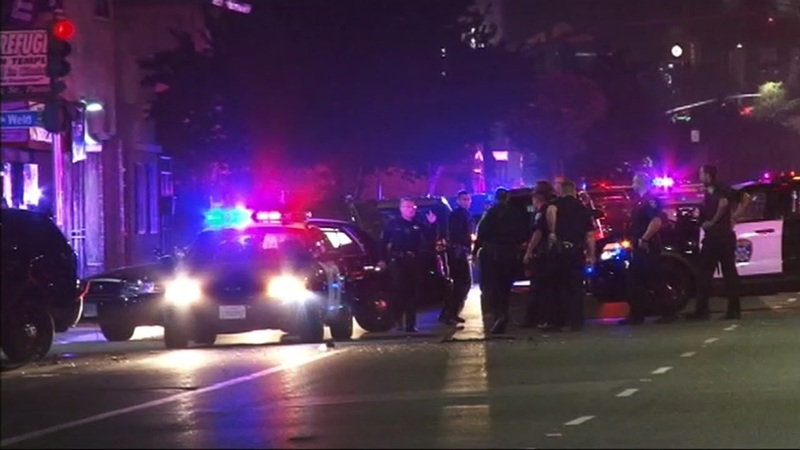 OAKLAND, Calif. (KGO) -- Police are searching for a suspect accused of shooting at a police officer in East Oakland Saturday night. The officer was responding to a call around 9:30 p.m. when she was involved in a crash on 73rd Avenue and International Boulevard. After the crash, a man allegedly went up to the patrol car and fired a gun multiple times. Fortunately, the officer was not hit, but she was taken to the hospital to be treated for injuries suffered in the collision. Several other law enforcement agencies are assisting with the investigation. Police are looking at surveillance video from nearby homes to see if the incident was caught on camera.